The Department of Communicative Disorders offers a BA in communicative disorders. Our program is accredited by the Council on Academic Accreditation in Audiology and Speech-Language Pathology (CAA) of the American Speech-Language-Hearing Association (ASHA). Students majoring in communicative disorders are expected to matriculate to graduate study in speech-language pathology or audiology. Students earning the BA with a major in communicative disorders must complete all University, college, and departmental degree requirements. These include the general education requirements, the following major requirements, all requirements for an approved minor, and other sufficient credits to total a minimum of 120 applicable semester hours. Sophomore standing is required to enroll in any 200- 300- and 400- level CD course. Completion of all 200-level CD courses (except CD 277 Pre-professional Lab Experience) is required for enrollment in 300- and 400-level CD courses. To be considered for clinical practicum (CD 377 Clin Practicum I Speech), students must have a minimum cumulative GPA of 3.30 and at least a 3.00 major GPA based on the following courses: CD 225 Intro Comm Disorders, CD 226 Lang & Speech Develop, CD 244 Phonetics, CD 275 Anat Physio Sech Hear Mechanism, and CD 308 Speech Disorders I. Students are expected to formally declare a major no later than the fourth semester of full-time enrollment (or at 61 semester hours for transfer students). With the assistance of an advisor in the major department, students should complete the “Declaration of Major” online. The major in communicative disorders requires the successful completion of 34 semester hours. For a list of required and elective courses, consult the CD Student Handbook section on the undergraduate major. Grades in ancillary courses are not computed into the major GPA. The major in communicative disorders requires the successful completion of the following courses outside the major. Many of these courses can be used to satisfy general education requirements. For a list of these courses, consult the CD Student Handbook section on the undergraduate major. Students are advised that the major in communicative disorders is considered to be pre-professional. A master’s degree or the equivalent is necessary for membership in and certification by the national professional organizations and for licensure by the state of Alabama and most other states. 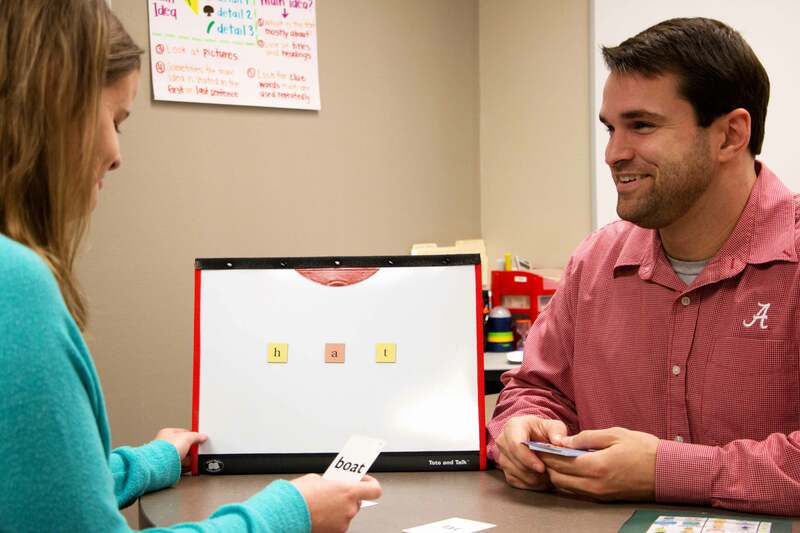 The Department of Communicative Disorders offers a program leading to the master of science degree in speech-language pathology (see UA graduate catalog). Students are responsible for ensuring that they have met all University, college, major, and minor requirements. However, each student must meet with an advisor in the major department for academic planning and to be cleared for registration each semester. College advisors are also available for additional assistance with minor, college, and University requirements. Students majoring in communicative disorders who wish to participate in clinical practicum or audiology practicum must apply for admission into CD 377 Clin Practicum I Speech, CD 378 Clin Practicum II or CD 445 Audiology Lab Experience.